Congratulations Larry, Kawone, and Zurrell! YouthBuild Philly’s graduation ceremony is still a couple of months away, but that didn’t keep us from enjoying commencement season this weekend! As more YouthBuild alumni enter postsecondary education and pursue their college degrees, we now have more graduates from the YouthBuild family to congratulate each May. 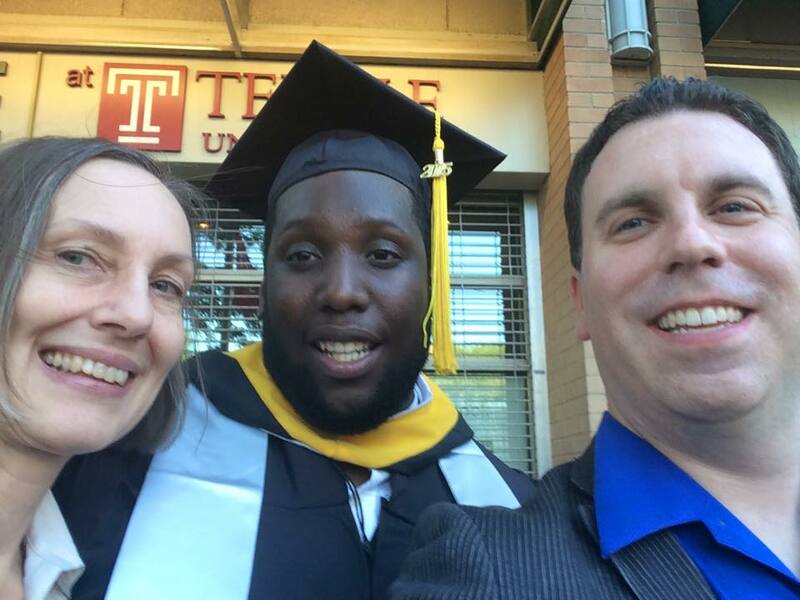 On Friday, Zurrell Toney ’09 graduated from Temple University with a B.A. in Sport & Recreation Management. Zurrell previously received his Associate’s Degree from Thaddeus Stevens College of Technology. Now a VISTA with the Police Athletic League, Zurrell will continue his year of service through November 2015 before pursuing new opportunities. 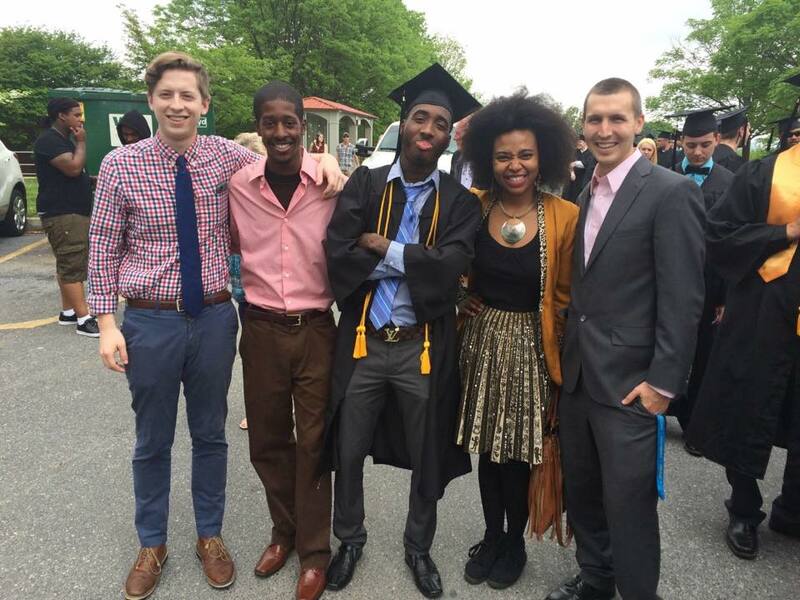 On Saturday, Larry Hudson ’13 and Kawone Murrille ’12 graduated from Thaddeus Stevens College of Technology. Kawone now has his Associate’s Degree in Collision Repair Technology and is now employed as a technician at a car dealership in Lancaster, PA. Larry received his Certificate Degree in Electrical Construction and is about to begin work as an electrician. YouthBuild staff attended both ceremonies at Temple and Thaddeus Stevens, along with Zurrell, Larry, and Kawone’s friends and families. We couldn’t be prouder of the perseverance and excellence these young men have shown in their postsecondary education pursuits, and we’re excited to see what they do next! Next Post Vote for YouthBuild Philly to Win $25,000 in Neighborhood Assistance Funding! Reblogged this on Zurrell Toney.